Which do you prefer charcoal, gas, or electric grill? Foods grilled using charcoal tastes better but the preparation and cooking is not always easy. 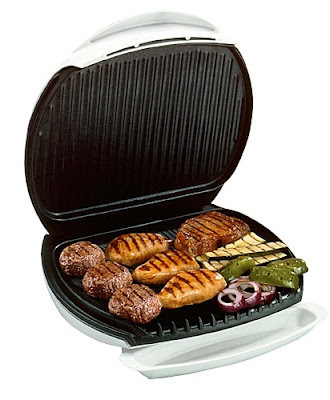 Cooking with gas and electric grill are easier, however with the high cost of gas and electricity, in our case it is better for to buy ready to eat grilled foods. In places where electricity is cheaper, most people buy electric grills because of their convenience. Another advantage is that they don't involve a gas source and any place with electricity is just fine for an electric grill. The only disadvantage is that the food you get lacks the great flavor of a charcoal grill, even of a gas grill.